Thanks for stopping by my blog, I am pleased to offer you three different YA Book giveaways. These authors are some of my favorites, and I hope the winner will enjoy them as much as I do! 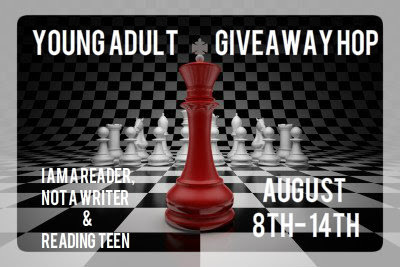 Also be sure to check in on my giveaway page for Amazon GC giveaway, AND I am co-judging/hosting a Writing Competition with lots of GREAT PRIZES!! I already have both Tangled Tides and Grasping at Eternity (love the latter! ), but I entered for the other two books! The first giveaway is one of my favorite series ever. BTW, I noticed that you like writing.. I am co-judging/hosting a Writing Competition with lots of great prizes! Make sure to check it out! !